Warning. If you’re not familiar with stitch orientation and leaning decreases do not read the following post – your head may explode. If you’ve been around the block a few times read on, you’ll be fine. I promise. All Knitting Nuance patterns come with both written instructions and charts (how else could I complain about those that do not) but sometimes we include two sets of charts. “Two sets?” you ask. Ah, yes, because there’s just one more idea I’d like to spring on you now that we’ve started talking about the left-leaning Showy Decrease. Slip the Showy Decrease stitch knitwise. Purl the partner stitch in reverse (if you’re knitting in the round k1 in reverse). What in the world does that mean?! Well, if you’re a continental knitter you probably already have a good idea. It’s what happens when you trap your purls. If you’re a thrower, it means you’ll wrap your yarn around the needle in the opposite direction. Think of it this way … slipping a stitch knitwise reorients the stitch from the prior row and purling in reverse reorients the current stitch and sets it up for the next row. Now this wouldn’t be possible if the Showy Decrease weren’t so easy to spot from both the right and wrong side. 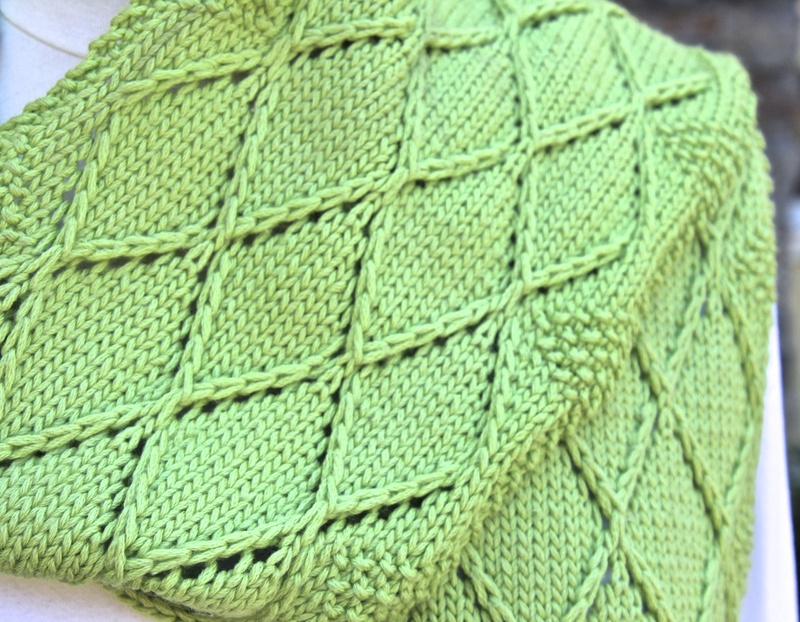 If you tried our swatch from Part 1 of our K2tog & SSK post you saw that knitting Showy Decreases means less counting as you knit because you can see the correct stitches. Let’s compare the 2 versions of the Showy Decrease. A little preparation on wrong side rows smooths out your knitting rhythm, however, you’ve got to be adept at spotting stitch orientation as you knit to make this work. That’s it. Brain intact? I knew you’d be fine. All the set up has been done for you in the patterns and once you get started the knit or purl in reverse motion becomes automatic. Our test knitters started with the ssk then migrated to the full set up once they felt comfortable. 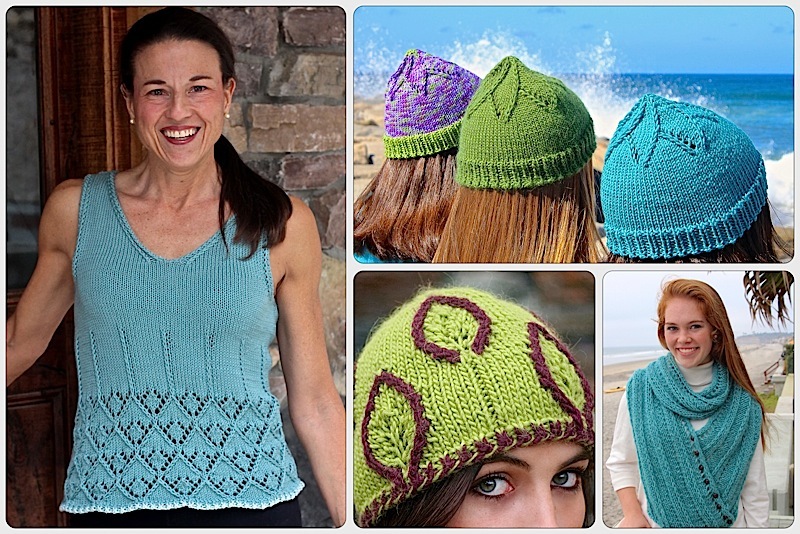 This is why we introduced patterns with lines of decreases like the Parallelity Scarf and Vortex Hat first. It’s a way to start to recognize where you are without reading the chart. It’ll make it easier for later when we mix things up a bit – and I promise we will. I knit from the back, not the front so for me SSK and K2Tog are the same (I think). How do I control the way it leans. This entry was posted on February 26, 2014 by Laura Cunitz in Nuances, Scarves, Showy Decrease and tagged Showy Decrease.